A notable event in the history of Soviet tank building took place in December of 1942. The SU-35, the first Soviet medium SPG, was put into production. There was the SG-122 that predated it, but it was a conversion of the German StuG III. The SU-35, however, was an entirely domestic design. Due to the urgency, the SU-35 was put into production without a second prototype. The SPG went into production straight from the drawing board. Nevertheless, the issue of modernization was raised at the highest levels in January of 1943. The result of the ensuing work was the SU-122M. However, this assault SPG's fate was not as fortunate: it never made it to production. December of 1942 was a key month in the history of Soviet SPGs. Work on light and medium SPGs reached the stage of preparation for production. The Ural Factory of Heavy Machinebuilding (UZTM) was chosen to produce medium SPGs. There were two reasons for this. In addition to the fact that development of the U-35 SPG was coming to an end in Sverdlovsk, there was a strong manufacturing base here. Local production of T-34s, which started here in late September of 1942, ensured a supply of chassis for SPGs. Taking into account the factory's abilities, GKO decree #2559 "On organization of production of SPGs at the Uralmash factory and factory #38" was signed on December 2nd, even before the start of U-35 trials. 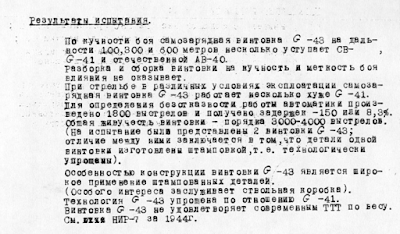 According to this document, UZTM was expected to deliver the first two SU-35 SPGs (later renamed SU-122) in December of 1942. Ever tried loading Degtaryev disk magazines by hand? I have, and it's not exactly a pleasant experience. Various devices exist to ease this process. Sadly, they weren't perfect. On orders from comrade Stalin, the department of the factory Chief Engineer created a 37 mm gun for installation into the turret of the T-60 tank. 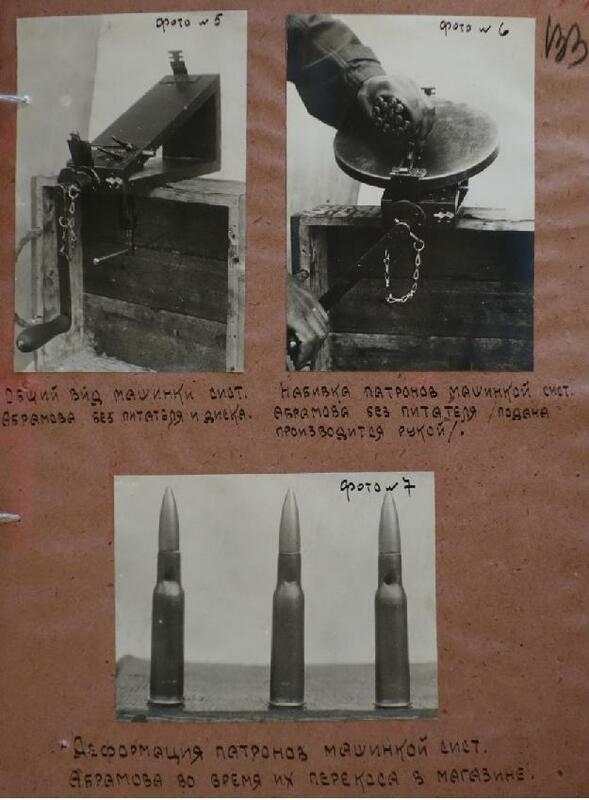 Ballistics and ammunition are from the 37 mm AA gun used by the Red Army. From December 20th, 1941, to January 12th, 1942, the department designed blueprints, indexed with the code ZIS-19. From January 12th to January 19th, an experimental prototype of the ZIS-19 system was built and installed in the turret of a mass production T-60 tank. 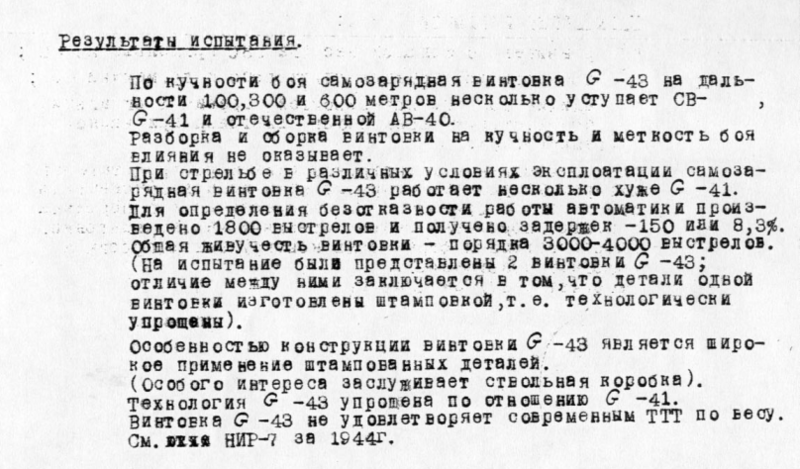 GBTU USA Chief, Major-General of the Tank Engineering Forces, Alymov"
I report that the Main Artillery Directorate performed trials of the captured German 7.92 mm MKb.42(H) carbine, a new type of small arms. As a result of trials, the following characteristics were obtained, compared in the following table with the domestic submachinegun model 1943 (PP-43) and the Simonov light machinegun. Merry Christmas to all of my readers who celebrate it! France entered WWII with a rather controversial set of tanks. While most nations began to produce medium tanks, the French army was in a catastrophic position with medium tanks. The prioritization of light Renault R 35 and "battle" (in practice, heavy) Char B1 bis tanks resulted in only 50 medium tanks available for infantry. Unexpectedly, France built a large number of medium tanks, but for cavalry, and they were officially referred to as armoured cars. These were SOMUA S 35, tanks whose combined characteristics made them the best tanks the French had before the war. France was the second country in the world to equip itself with tanks. The French were about half a year behind the British, but their designs were a lot more progressive. The French army had the most tanks at the end of WWI, and quality came along with this quantity. At this point, the Renault FT was the backbone of the French armoured force. This was the most numerous tank of its time, the first mass produced light tank, and the first tank in the world of a layout that was later deemed classic. What is the story of the creation of the Renault FT? Yuri Pasholok got his hands on a pile of old military manuals recently, including Shooting from Horseback. It's a somewhat lengthy book, so I'm not going to translate all of it, just interesting bits. If firing a rifle from horseback is done mainly during patrols and other cases when there is no time to dismount, firing a revolver or pistol is often done by a cavalryman. In battle, commanding fire from horseback is either very difficult or downright impossible. The soldier must rapidly and independently determine how to act, with a blade or revolver, and if the latter, fire, select targets, find an aiming points, etc. Actions of a cavalryman are further complicated by allied cavalry mixing with enemy cavalry. The cavalryman must fire in a way that does not injure his allies. There is a surprsing amount of interoperability between British and German hardware. The Sten gun could, famously, be fed with German ammunition, and slightly reworked German 75 mm shells went into 75 mm guns received from Americans, but other substitutions could be made in a pinch. Accelerate experimental work on trials of tank armour 30-70 mm thick. Report on the results of the trials by September 20th, 1938. Summarize all materials on experiments with spaced armour, and present final conclusions on the use of this armour by September 20th, 1938. Produce and present the NKO with an armoured car on the ZIS-6 chassis with armour that protects from armour piercing bullets from the front at any range by December 1st, 1938. Within a month, develop a plan for improvements to the armour of T-26, T-28, and BA-10 tanks and armoured cars, according to the attached list (## 1, 4, 5, 7, 8). When developing the plan, consider the necessary time to prepare for production. "The first defensive fighting at the bridgehead began on 20 November 1943. The villages of Maryevka (20 November 1943) and Katerinovka (23 November 1943) where particularly critical areas in the German defensive line. The Ferdinande had tremendous success during the engagement at Koschasovka/Miropol from 26-27 November 1943. They destroyed 54 Russian tanks: 21 by Leutnant Franz Kretschmer and his crew." On one hand, a defensive battle is one where the Ferdinand's tough front armour and long range gun would excel. On the other hand, lack of ground taken by the German forces meant that they had no way to count the knocked out enemy tanks, making it a perfect scenario for some classic overclaim. On October 11th, 1941, the PQ-1 convoy arrived in Arkhangelsk: the first British convoy that delivered weapons and military vehicles to the USSR. It was the result of the agreement titled "On joint action of the Soviet and British governments in the war against Germany", signed in Moscow on July 12th. Matilda III tanks were among the cargo. In total, 1084 Matilda tanks were sent to the USSR, of which 933 (918 according to Soviet data) arrived. The Matilda, or MK-II, as it was called in Soviet documents, became one of the best known foreign vehicles used by the Red Army. Appearing in the USSR in the fall of 1941 along with the Valentine, these tanks made it in time to defend Moscow and participate in many operations in the first half of 1942. This vehicle earned a mixed reputation among Soviet tankers. It was loved for its reliable armour, but cursed for its slow speed and weak gun. Either way, the last large scale application of Matilda Tanks on the Eastern Front was in the summer of 1944, and some vehicles kept fighting until the end of the war. Experience shows that the 7.62 mm DT tank machinegun does not provide sufficient volume of fire, due to its 63 round magazine and rapid heating of the barrel. It is desirable to have a belt-fed machinegun, capable of rapidly firing up to 500 rounds. The PPSh submachinegun is a necessary weapon for tank crews, but is inconvenient to use. The disk magazine is large, and gets in the way. The stock impedes exiting the tank. It is desirable to have a submachinegun with a box magazine that holds 25-30 rounds and a folding stock, like the one on the German SMG. I ask you to instruct Artkom to begin work on improving firearms for tank crews according to the issues noted above. In accordance with the decision of the Artillery Committee plenum and NKV and NKTP orders, factories #8 and #37 designed a 76 mm light assault gun with the ZIK-5 tank gun on a chassis made from T-70 components. Produce SU-14 SPGs according to blueprints and technical requirements approved by the GAU KA Artillery Committee. Temporarily, before the blueprints and technical requirements are approved, it is permitted to produce vehicles according to blueprints and technical requirements of the prototype. I report to you the details about new American tanks and news of American tank building. 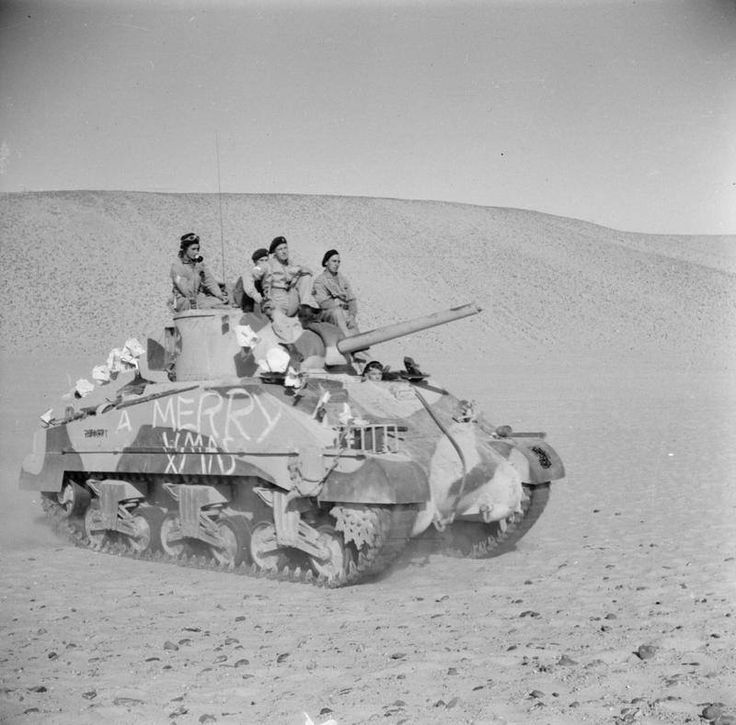 The Armoured Car Co. built a new type of light tank that is also an airborne tank. It can be suspended from a DC-4 airplane and transported over the air. There are two variants, 7.5 tons and 10 tons. The design of both tanks is identical: top speed of up to 80 kph, 200 hp Guiberson engine. The difference is due to the thickness of the armour, which is 38 mm (front) and 35 mm (sides) thick on the 10 ton tank. There is no data on the armour thickness of the 7.5 ton tank. The armament of both variants is the same: 1 37 mm cannon and 3 7.62 mm machineguns (one of them is AA). Tanks are built with a turret and without a turret. Allegedly, the second kind is the airborne tank. It is said that the new tank has been accepted into service and will be put into mass production. They will also be supplied to the British. Production is being organized at the Pressed Steel Co., which also presently builds the M3 medium tank. During WWII, M1 and M9 "Bazooka" rocket launchers were considered good weapons, although their penetration was inadequate to reliably penetrate medium tanks, and nearly useless against their front armour. American engineers decided to solve this problem by increasing the caliber of the weapon. Work began in 1943, but mass production of the new RPG only got off the ground after the start of the war in Korea, where old bazookas proved ineffective against the T-34-85. The Partisan's Companion is a book distributed among partisans in order to help them combat German forces more effectively. A few sections of the book deal with firearms. This one teaches the user how to handle domestically produced firearms, both military and civilian. No matter what conditions you are in always keep your weapons ready: clean and functional. Handle them carefully. The weapons must always be ready for battle. Do not plug the barrel, as that will burst the barrel when shooting. Before cleaning a gun, make sure your cleaning equipment is functional and complete (ramrod, rag, screwdriver, mallet, etc). The precision of the semiautomatic G-43 rifle at ranges of 100, 300, and 600 meters, is less than that of the German G-41 rifle and domestic AV-40 rifle. Disassembly and reassembly has no effect on precision and accuracy. Conventional internet wisdom dictates that WWII era standoff armour was, at best, ineffective against the Panzerfaust, or even accentuated its effects by improving the standoff distance. However, there was no internet back in the day, so tankers had to make do with experimental data. Let's start with the Soviets. In 1942, when researching protection against 75 mm HEAT, it was discovered that 4-5 mm mild steel screens 100-600 mm away from the armour worked in protecting the lower side of the T-34. In Berlin, so called "bedspring armour" (in reality, purpose made anti-Panzerfaust mesh screens that were made from 0.5-0.8 mm wire, positioned 200 mm from the armour) was, according to Soviet reports, effective in combat. 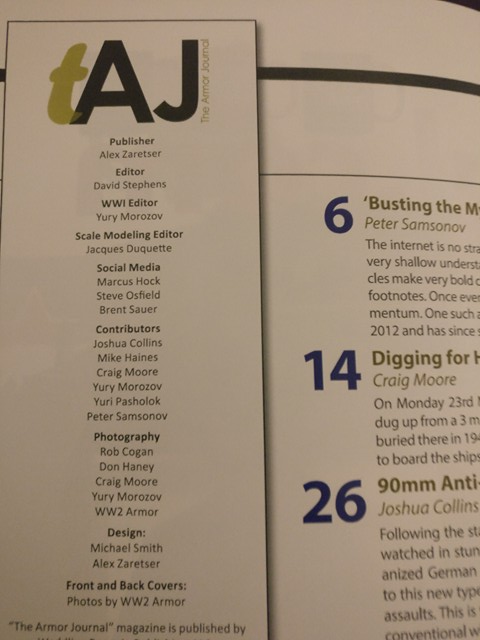 My name already appeared in print next to that of Thomas Jentz, and now it's time for a long-time inspiration and a source of many materials posted on this site: Yuri Pasholok. The original plan was to publish a translated and lengthened version of my Panther article, but the editor selected an older piece of mine for print instead. 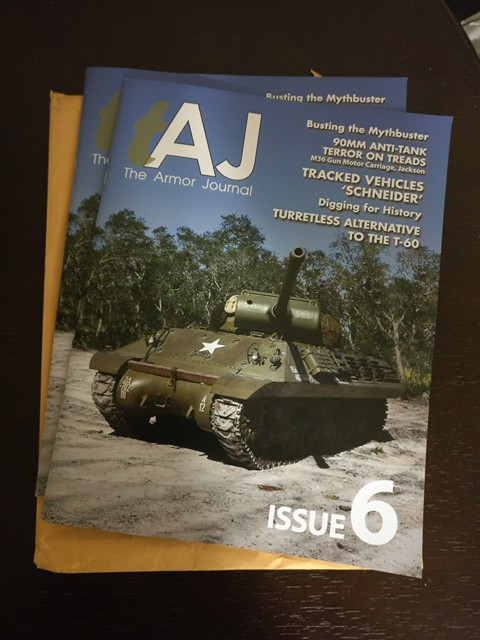 That just means that you, my dear readers, have another few months to pre-order your copy of the Armor Journal magazine. Cases where vehicles that never reached mass production become milestones are common in tank building history. The Soviet KV-13 tank is one of those cases. This tank is often referred to as a "heavily armoured medium tank", which is incorrect. The KV-13 was designed as a heavy tank from the very beginning. The revolutionary vehicle satisfied the requirements of the Soviet military completely. This was the first maneuverable heavy tank that combined impressive armour with small mass, and, most importantly, high mobility. The KV-13 appeared at a difficult time, which is a part of the reason why it did not enter production. Nevertheless, further Soviet tank development was influenced by the last design of the talented Nikolai Valentinovich Tseits. The gradual increase of a tank's mass is a normal and logical occurrence. Mass grows, first of all, due to thicker armour. During WWII, the thickness of tank armour grew several times over. However, there was one case where designers had to sacrifice armour. This case was the Soviet KV-1S tank, which was, in many ways, a necessary compromise, taken to resolve serious issues with the KV-1's reliability. The vehicle left a mark in the history of Soviet tank building. The KV-1S appeared as a result of a change of perspective in Soviet heavy tank doctrine. Mobility started to play a more important role. The new tank was not just a lighter KV-1, but had a large amount of new technical solutions. What is the history of the KV-1S, and why was its journey into production so difficult? Czech-made weapons were popular since the start of the 20th century. Skoda's artillery was in demand even outside of Austria-Hungary, which Czechia belonged to until 1918. Weapons exports continued after the formation of the First Czechoslovak Republic. As a rule, their excellent quality was accompanied by a very agreeable price. Tanks joined cannons in the mid-1930s. Czechoslovakia managed to take second place in tank exports worldwide, coming up just behind Great Britain. The first and most popular export item was the Praga AH-IV tankette.